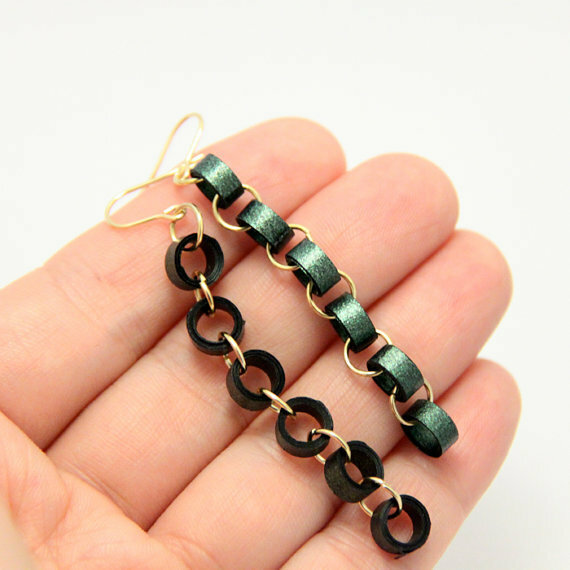 I use specialty quilling paper in metallic dark green to create little beads and then chain them together with niobium jumprings. 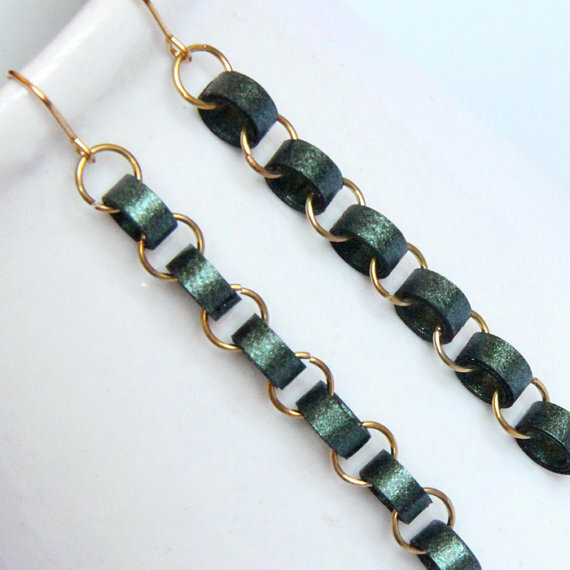 They are finished with niobium earwires. 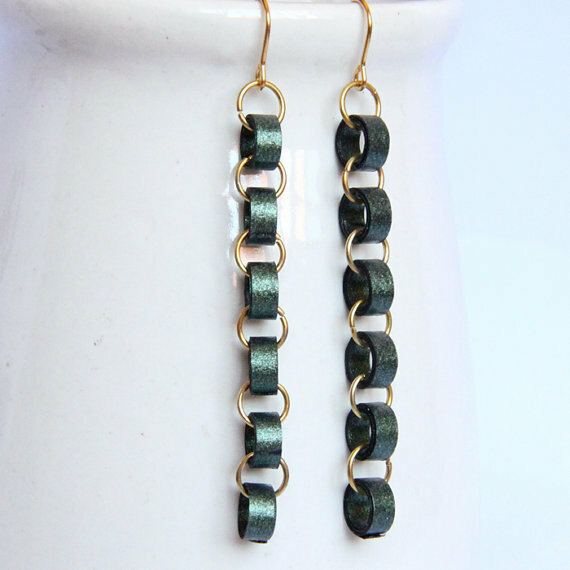 Why niobium? It is non tarnish and as hypoallergenic as gold! What's not to love!! ?